Targeted by a mad scientist's deadly serum, these outcasts band together to uncover the truth and to fight back. Spire City is home to mighty machines of steam power and clockwork, and giant beetles pull picturesque carriages over cobbled streets, but there is a darker secret behind these wonders. 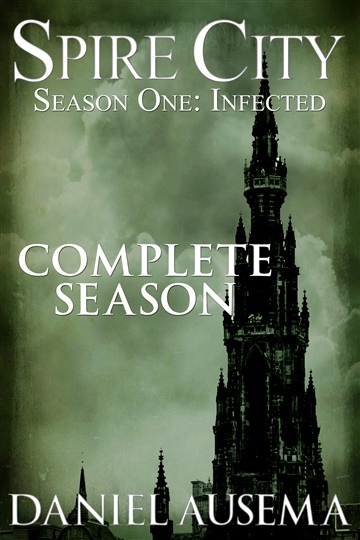 A deadly infection, created by a mad scientist, is spreading through the city, targeting the poor and powerless, turning them slowly into animals. A group of those infected by the serum join together to survive, to trick the wealthy out of their money, and to fight back. Daniel Ausema is drawn to all things imaginative and strange. His work has appeared in many publications, including Strange Horizons, Daily Science Fiction, and Diabolical Plots. He has been nominated for the Rhysling Award in poetry. His serial fiction project, Spire City, combines the mad science and airships of steampunk with touches of the New Weird in a city both cruelly decadent and capable of wonder. He lives in Colorado, at the foot of the Rockies.